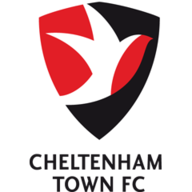 Mohamed Eisa rescued a point for Cheltenham Town as they came from behind to take a 1-1 draw against struggling Barnet. The Bees took the lead within two minutes when Ricardo Santos fired home from a Ryan Watson corner with the ball going under goalkeeper Scott Flinders. Shaquile Coulthirst almost doubled the Bees lead on 33 minutes after Watson's corner was cleared out only for the midfielder to fire low, but he was denied by a low Flinders save. 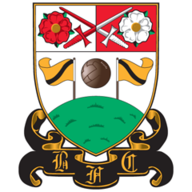 The Robins pushed for a second half equaliser and Barnet goalkeeper Craig Ross could only punch away a Kevin Dawson cross which bounced off the back of substitute Elijah Adebayo's head before trickling wide. Eisa fired home the equaliser on 65 minutes after the visitors failed to clear a Dawson cross and Adebayo headed to the striker for his 14th goal of the season. A clever chipped free-kick caught the Bees defence out and Eisa headed down for Dawson to blaze over from close range before Adebayo forced a save from the outstretched leg of Ross.